Bentwood frame with a chocolate brown leather cushion on a hammock style fabric. 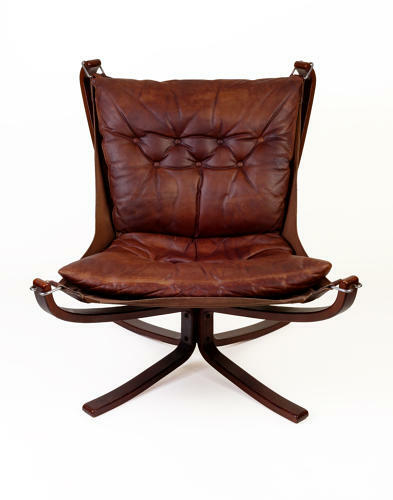 Designed by Sigurd Ressel and made by Vatne Mobler. Norway circa 1970. The seat measures 45cm deep and 65 cm wide at its widest.